Michelangelo English Club: School is almost over! 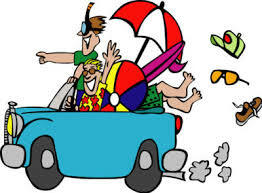 Let' s go on holiday! School is over!! It has been a long year... full of good and sometimes bad things! We have learned a lot of things! But now we are tired! We deserve a great holiday! I am going to the sea... I love swimming and sunbathing! And you? Where do you go on holiday? Do you prefer the seaside or the mountains? Do you like visiting cities or going to the countryside? 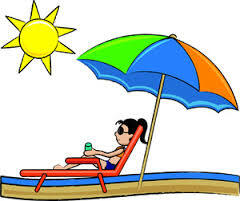 If you stay in your town during the summer holidays, what do you usually do? Yes, school is almost over for us too and the pupils of my 3e Euro class have started revising for their final exams. It would be great to keep in touch next school year so that our pupils could keep on commenting each other's bog, what do you think? What age are your pupils? Hello Cécile, of course we are going to keep in touch! My students are from 11 to 14 years old. What about yours? 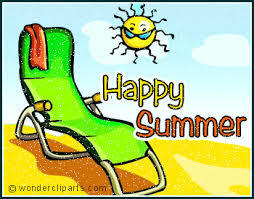 I hope all of you have a wonderful summer! My 3e will go to High School (the Lycée) in september but we will get new pupils as these Euro classes are very popular in our school. I am personally going to Scotland with my family this summer, and I can't wait! the school is finally finish and i'm so excited to go on holiday.Honestly i prefer stay at home and do nothing instead to visiting the city, but when it comes to London i can not resist at the temptation to look it. Every year i go to France so i'm very happy to do something else this time! Finally I'm in holiday! This summer I won't go in cities or in the countryside, but I'd like very much! I like both sea and mountains; but I prefer mountains than sea. Unfortunately I think that this summer I will go only to sea: it's closer than mountains. When I'm at home I play with my friends, I study or I read a book. This year i go only at the seaside . I hope next year I will go to mountains in BELLAMONTE , where I always went with my family when I was a littel girl . I love the summer but I miss my classmates who are used to seeing every day . This year they left a week in the mountains ( Puster Valley ) and then I went to the expo . All the rest of the season I spent in Ostuni ( my home country ) , where I watch over the sea . I prefer the sea to the mountains , but for three months to do the same things I'm bored , so I 'm glad to change places . This summer I spent four holidays. In june I went to Paris for two weeks. I visited lots of important monuments like Tour Eiffel, Arch of Triumph and Louvre museum. Than I went to Lecce with my family for two weeks. I really like going to Lecce because I can stay with my friends and because I can go to the sea. In August I went in Friuli Venezia Giulia in colony, so without my parents and my brother. Finally I went in Alto adige where I did a lot of challenging hikes on Dolomites, then I went to EXPO in Milan. I generally go to the sea and visit the cities but I really prefer mountains and countryside. In summer I don't like stay in my city, but if I do it, I like to play rugby with my friends at the park. Usually I spend my summer holidays abroad but this summer I went to Gargano with my family and my grandparents and also I went to summer sport camp with my best friends for five unforgettable weeks. Anyway I prefer the mountains because I love pure and fresh air, the green around me and I have got wonderful reminders of those places bound with my childhood. If I stay in my town on summer I prefer staying at home to watch a lot of films and listening to the music or meeting my friends.